When the crew of the deep space merchant vessel Riyadh emerge from cryogenic sleep, they expect to wake at Talus, the last jump before home. Instead, they find their ship docked at an uncharted Soviet space station under quarantine with no communications, failing life support and their Chief Officer missing. Stranded millions of light years from Earth, Captain Tor Gjerde has little option but to lead a salvage expedition to the seemingly abandoned station, but once aboard the decaying hulk Tor and his crew discover the terrible fate of Murmansk-13 and the horrifying legacy that remains lurking within its gloomy corridors. There is something very interesting about this story, and it's how the author introduces to the reader all technical concepts he needs you to understand but without being too thick. He makes it gloomy, catchy, mysterious. Space adds an extra plus of creepiness to the thread, since in a ship—there's no way out. Locked with your predator, let the game begin! The book is long but very quick to read because Williams' writing is not heavy, he jumps from one concept to another with ease. Scenes and characters precede each another with fluency. Bloody scenarios guide the reader through the corridors of a witness of doom itself. 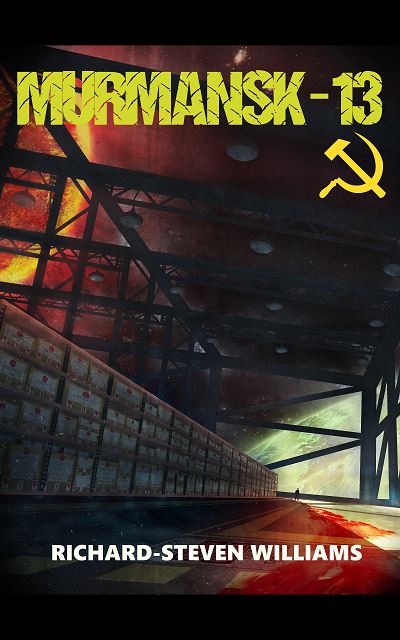 Military's indifference, stubborn Russian guards, prisoners in a panic state and a permanent suspiciousness keep you on Earth, make the book very realistic. That's why it's scary in a very "intimate" way. They are not images that will make you watch your back while you are reading, but you'll definitely keep playing scenes in your mind when you stare at a night sky. I also loved how Williams traces psychological horror. How is it possible that someone, suddenly, disappears between a crew? Or perhaps... he's never been there? An avalanche of thoughts precipitates making you re-consider all you have "understood" so far. That is a very difficult craft and, in my opinion, the author has walked through it victoriously. Perhaps the extreme horror reader will feel that he could have taken more to the limit some scenes, but I think Williams plays his cards with an objective: he leads you slowly into a labyrinth of monsters and black, icy emptiness. You'll see yourself shaking through those locked rooms, feeling the blackness rotting your sanity and the metallic smell of blood. A very good read. I recommend the paperback since, at least personally, I like to read these complex, multilayered books having them in my hands. When I get a chance I'll go through it again, because it's worth paying attention to all the details. Very good, very good indeed.